The history of Arizona, as recorded by Europeans, began in 1539 with the exploration of the area by Marcos de Niza. Arizona became part of the Mexican state of Sonora in 1822. In 1848, the United States took possession of the section of Arizona above the Gila River after the Mexican-American War and made it part of the Territory of New Mexico. With the Gadsden Purchase in 1853 the United States obtained the northern part of the state of Sonora, what is now Arizona south of the Gila River. 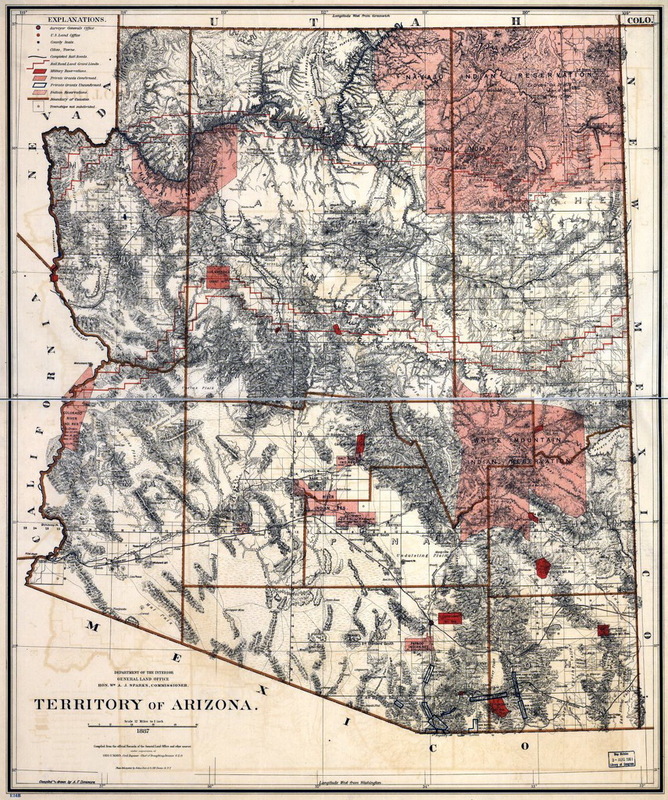 A decade later, in 1863, Arizona was split off from the Territory of New Mexico to form the Arizona Territory. Arizona became the 48th state US state on February 14, 1912. It was the last of the contiguous states to be admitted. The state of Arizona was home to the final engagement in the American Indian Wars which lasted from 1775 to 1918. The participants in the fight were US soldiers stationed on the border and Yaqui Indians who were using Arizona as a base to raid the nearby Mexican settlements, as part of their wars against Mexico. The general belief is that the name of the state comes from an earlier Spanish name, Arizonac, derived from the O’odham name alĭ ṣonak, meaning small spring, which initially applied only to an area near the Mexican silver mining camp of Planchas de Plata in Sonora. This is supported by the fact that that area is still known as alĭ ṣonak in the O’odham language. Another possible origin is the Basque phrase haritz ona that means the good oak. J. WALTER FEWKES, PRELIMINARY ACCOUNT OF AN EXPEDITION TO THE CLIFF VILLAGES OF THE RED ROCK COUNTRY, AND THE TUSAYAN RUINS OF SIKYATKI AND AWATOBI ARIZONA, IN 1895.